Michelle Madow: Elementals: The Blood of the Hydra Cover Reveal! 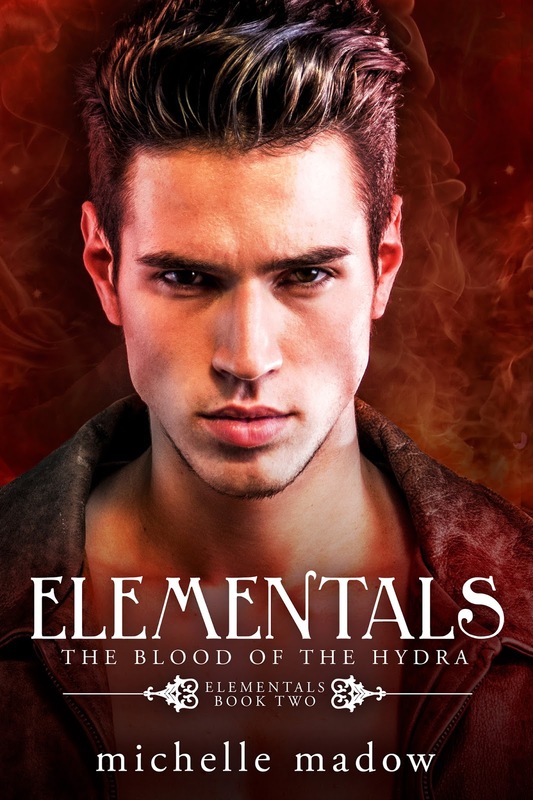 Elementals: The Blood of the Hydra Cover Reveal! I'm so excited to share the cover and description for Book #2 in the Elementals series, The Blood of the Hydra! I hope you all like it, and I can't wait for the first book in the series to release on Tuesday! To celebrate the reveal, I'm giving away a signed paperback of the first book, Elementals: The Prophecy of Shadows -- you can enter to win using the Rafflecopter on the bottom of this post. The Blood of the Hydra also has a countdown widget, which you can find on the right sidebar of my blog. If you have a blog, be sure to grab the code so you can put the widget on your blog and share the love! Now, without further waiting ... here's the cover for Elementals: The Blood of the Hydra! And don't miss the first book in the series, Elementals: The Prophecy of Shadows! CLICK HERE for more information on Book 1.